Photo: EU Humanitarian Aid and Civil Protection. CC BY-SA 2.0 (cropped). Comprehensive UN anti-poverty targets established in 2000 have done much to advance and empower rural women by making gender parity an integral part of international discussions on development. However, the Millennium Development Goals (MDGs) appear to have fallen short in addressing the plight of rural women in an often-overlooked area: energy access. The reliance on burning biomass such as fuelwood, animal dung and crop waste for household energy creates risks and hardships that fall inordinately on women — from its collection to its use in the home. As these hardships become ever clearer, one researcher is urging for this issue to be addressed in ongoing negotiations over the next global development framework, the UN Sustainable Development Goals (SDGs). The SDGs will succeed the MDGs, which are set to expire in 2015. The MDGs helped women make some gains in the past 14 years. MDG3 aims to promote gender equality by encouraging the empowerment of girls and women through improved access to education, work, and greater participation in decision-making. A 2013 UN report said that in 2011, 40 out of every 100 wage-earning jobs in the non-agricultural sector were held by women, an improvement since 1990, when women held only 35 out of every 100 jobs. Other crosscutting MDGs have also benefited the welfare of women. MDG2 stipulates that all children should have access to education; by 2013 the UN declared that globally there were 95 literate young women for every 100 literate young men compared with 90 women in 1990. And under guidelines set by MDG5, maternal mortality rates have declined by almost half since 1990, according to the UN report. However, the MDGs do not address the fact that more than 2.6 billion people — almost 40 percent of the global population — rely on traditional biomass fuels for cooking, according to the 2013 World Energy Outlook. This has hindered progress in reaching MDG targets, including those that are gender-related, according to the World Health Organization (WHO). For many rural women, the daily task of cooking is suffused with risk. Women exposed to heavy indoor cooking smoke, for example, are three times as likely to suffer from chronic obstructive pulmonary disease and are at a higher risk of death from lung cancer than women who use cleaner fuels, according to WHO. The recent global burden of disease report shows that household air pollution from burning of solid fuels is among the top three leading risk factors for disease. Nearly 2 million people each year die prematurely from illness caused by indoor air pollution from solid fuel use, according to WHO. 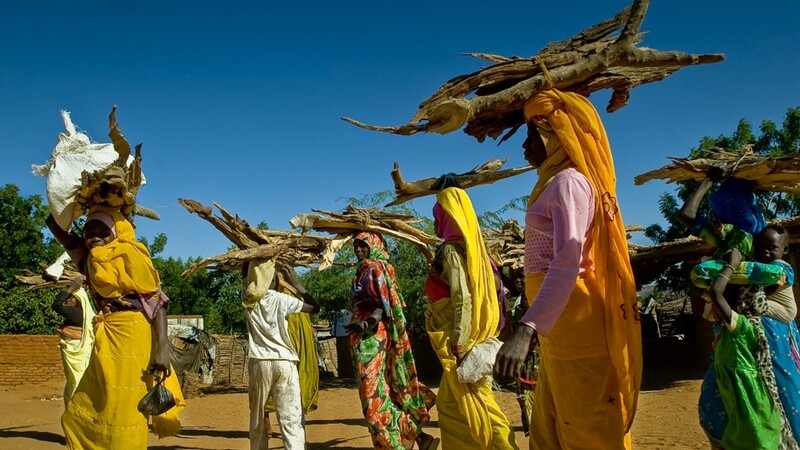 In biomass-dependent households, collecting fuel is often the responsibility of women, a physical hardship requiring a major time commitment that restricts the capacity for women in many parts of the world to advance. A study in rural India showed that women spend up to 50 hours a week to collect fuelwood, leaving limited time to engage in gainful economic activities, child care or other social activities. Young girls engaged in gathering fuel miss out on educational opportunities, and are vulnerable to gender violence — particularly in areas of conflict — when collecting fuel. In developing countries, estimates indicate that about 730 million tons of biomass are burned each year, emitting soot and carbon dioxide that contribute to climate change and drive deforestation and the loss of ecosystem services that forests support. The important role of energy access is being addressed in discussions about the SDGs, a step in a positive direction along with such initiatives such as the UN-led Global Alliance for Clean Cookstoves and the UNUN-World Bank Sustainable Energy for All (SEFA). SDGs Should Tackle Energy Access to Boost Gender Equality by Julie Mollins is licensed under a Creative Commons Attribution-NonCommercial-ShareAlike 4.0 International License. Based on a work at http://blog.cifor.org/21566/sdgs-should-tackle-energy-access-to-boost-gender-equality-researcher-says. Julie Mollins is a web journalist working for the Forests News blog in Bogor, Indonesia. Before joining the Center for International Forestry Research in March 2013, she worked for eight years at Reuters in Toronto and London. She also served as communities editor at AlertNet, the former Reuters humanitarian news website. Before Reuters, she was a researcher and reporter for several national news and business publications in Canada. She earned a Bachelor of Arts from Innis College in the University of Toronto and a Bachelor of Journalism from Ryerson University in Toronto.